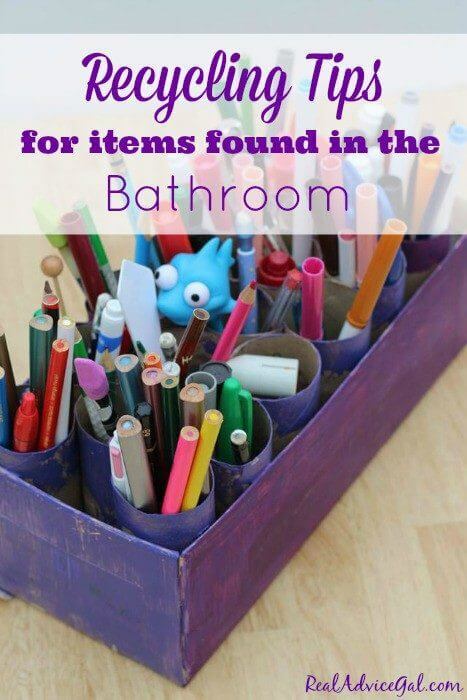 / What Can You Recycle in the Bathroom? Disclosure: This post was brought to you by CARE TO RECYCLE® and The Motherhood. All opinions are my own and I hope you enjoy them. Earth Day is almost here. That means we all must take charge of our surroundings and figure out ways to make the items we use last longer or uses them in a new way. I know we all have what I call life hacks for the bathroom so I polled a group of my friends to get their best tips for recycling items found in a bathroom. You know it wasn’t that long ago that I thought a toilet paper holder just held the toilet paper. The dish soap bottle’s only job was to make my hands gorgeous as I attempted to scrap food off dishes. The milk jug was only used to hold the milk… and then came the kids. The brightly colored mass distributed toys are not nearly as fun as the ones we can make using household castoffs. The creativity and environmental impact are invaluable to my children. I suggest you grab your trash and create an imagination station or the latest and greatest car race track, princess purse, sand shovel and squirt bottle. Your toilet paper roll could become- binoculars, tunnel, funnel, log cabins, musical instruments. Pencil holders, craft collectors, hamster tunnels, yarn winders, and even a gift holder. Those toilet paper rolls are also great to hold cords (charging cords) and to mark cords behind the computer. They were also helpful to Heather’s color-blind grandfather who used to have the person who did her grandfathers laundry place his socks in the toilet paper rolls and label them with the color they were. 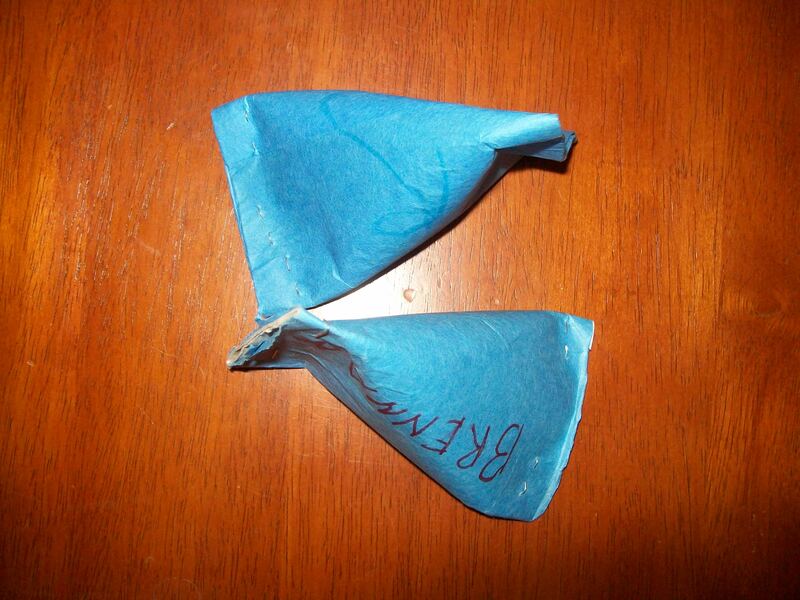 Cover roll w/colored paper, staple one end, pour in dry beans, staple other end, decorate and shake! How about old tiles you can make a diy ceramic tile coaster . I know I read in my bathroom. I always have piles of magazines because everyone needs a bubble bath and a magazine. This picture frame is so adorable. I have a bottle of water in my bathroom at all times. I try to drink as much water as possible and we happen to love to do water bottle crafts. We have a huge collection of water bottle crafts. Towels- An old towels can be sewn into a bath mat? Or used for scraps to clean or how about turn one into those fancy hair turbin (like a turbee twist). Toothbrushes can be used to clean grout, diamond rings, the wheels on your car, the barbecue and you can even paint with them. 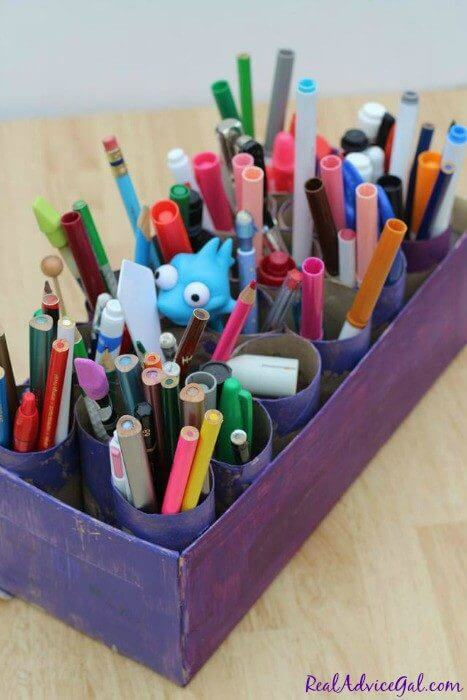 Tissue boxes – They are great for storing wide ribbon, creating hiding places for plastic creatures. If you open up the top a little bit the make a great place to toss a small ball for a quick carnival game. 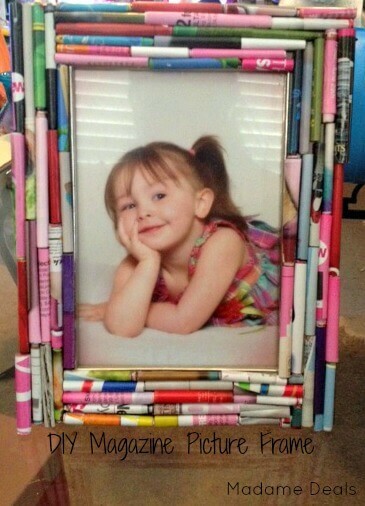 The key to creating children that recycle is being an example. We do a great deal of recycling but we can always stand to do more. I am committed to learning about how we can do more. I would like to invite you to do the same. CARE TO RECYCLE® believes that recycling in the bathroom can be a fun family activity; a way for parents to have a teachable moment with their kids and even do some fun projects together. You can find more helpful information such as where to recycle, what to recycle, inspirational quotes, and bathroom recycling projects at www.caretorecycle.com. We are co-hosting a twitter party…..
Join the #CareToRecycle Twitter Party on April 22 @ 12 p.m. EDT to talk about fun recycling tips and tricks for you and your whole family, and a chance to win some great prizes! Imagination is FREE………… Reduce, Reuse, Recycle but most importantly spend time imagining with your children!! While almost 70% of Americans say they consistently recycle, only 1 in 5 say they consistently recycle items they use in the bathroom. Nearly 40% of Americans say they never recycle in the bathroom. 20% of Americans say they didn’t know bathroom products were recyclable. More than half of consumers will only recycle if they are certain the item is recyclable or is clearly labeled as such. 50% of parents say their children educate the rest of the family about the benefits of recycling. #5 plastic (PP or polypropylene) collection is increasing, but it’s still not accepted in many municipal recycling collections. Check with your local recycling office or this handy recycling locator, http://search.earth911.com/?sponsor=jnj, to be sure. Plastic Tubes are usually a mix of plastic laminates and are NOT recyclable. Plastic caps can usually be left on (here’s a guide), but pumps need to be removed before recycling bottles. For all products, it’s recommended to give the bottle a quick rinse to remove residue before placing in recycling bin. Here’s an example!